“This is an 83-mile circular trail which enables walkers to explore the industrial heritage of the slate villages throughout Snowdonia. This trail visits some of the less-frequented but beautiful parts of Snowdonia, passing through all the major mountain ranges, offering a range of experiences from mountain to forest, lake to river, from the valley to the sea.” Snowdonia Slate Trail. For this particular volunteer day we will be surveying and maintaining a 4km stretch between Capel Currig and our own Tŷ Hyll. There are some fantastic views in the hills above the A5 with a mixture of farmland, uplands and woodlands. Tasks will include the survey and maintenance of the footpath, gates, stiles and waymarkers. 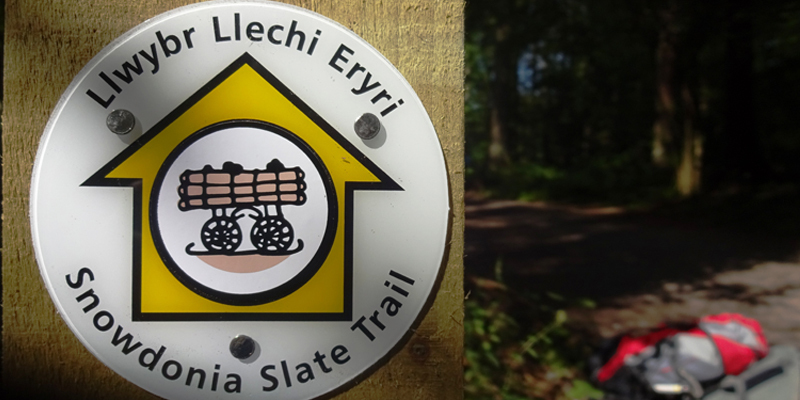 Come and join us for a taste of the Snowdonia Slate Trail.